This update includes minor performance improvements and bug fixes. 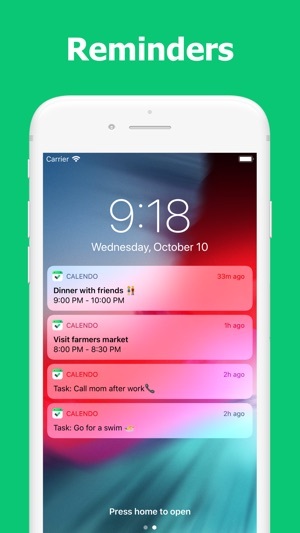 Please report any issues at support@calendoapp.com. If you enjoy CalenDo, Please give us 5-star reviews on the App Store. I’ve tried a lot of task, calendar, and reminder apps before; but none of them worked well enough to permanently replace my Moleskine planners. This is the first app I’ve tried that I think might. 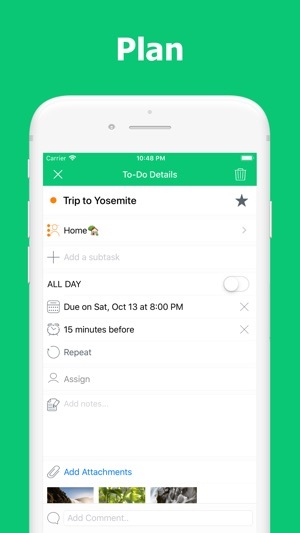 There are a few things that I’d prefer to see tweaked and I absolutely need a web app companion for it (and when they promptly responded to my inquiry, they stated that this is planned but depends on app downloads, total users and steady revenue), but this seems to be an excellent solution to finally digitize everything in my schedule. Thank you for the 5-star review. We greatly appreciate it. 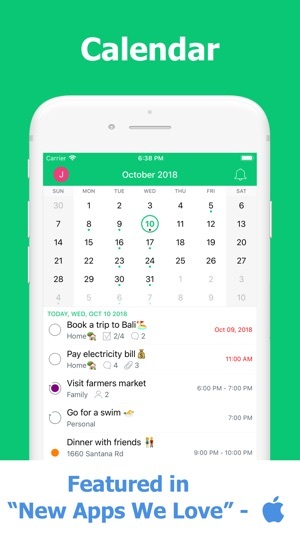 I’m not one to leave a review, but I’ve actually stopped using the regular calendar on my phone because I like this so much. There are so many options and specifics on ways to add in events and to-dos, I can differentiate the days of my appointments from the days I have to pay my bills like nothing. 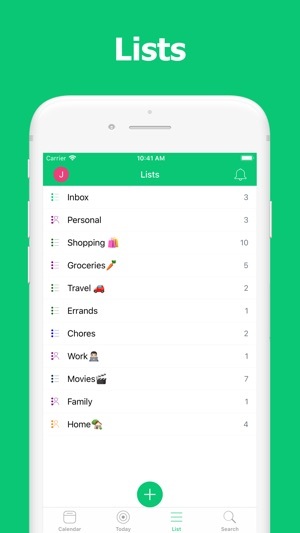 It’s all out there in plain sight unlike the iPhone calendar where you can only see each day at a time. It’s just so convenient, I recommend it to everyone. 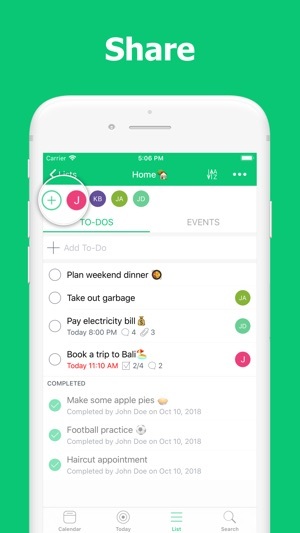 I’ve used one task managing app for years and was happy with it but decided to try this one when it was highlighted in the App Store. It’s simpler and still gets the job done. 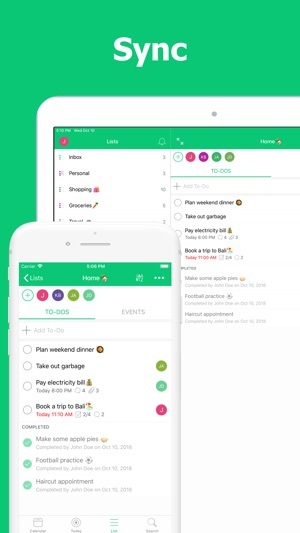 Entering tasks is very easy, as is switching between lists. I initially had an issue with syncing between iPhone and iPad but received IMMEDIATE response to help request, and problem was solved. Love it! © 2018 Vihaan Technologies Inc.